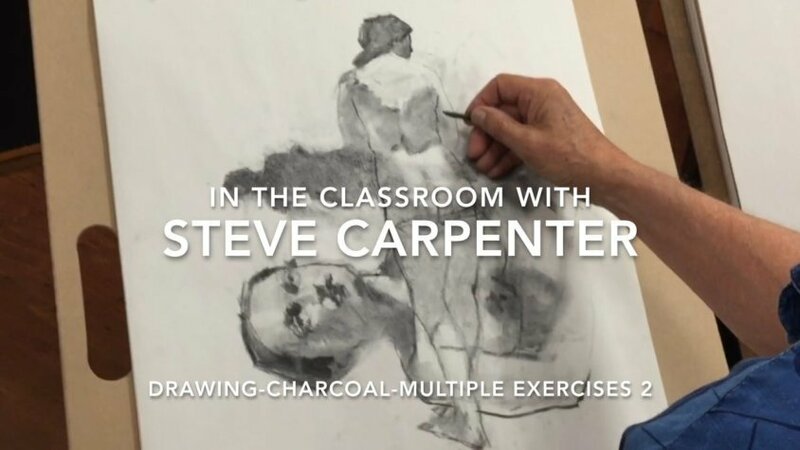 In this video Steve investigates three ways of drawing the subject. First he explores feeling form with a vague, dark sketch. Next he superimposes a larger more detailed line drawing of the subject in a different pose. He finishes with a detailed portrait of the model. The result is an abstracted image in which he has chosen to emphasize the areas of interest to him. This is a great charcoal figure drawing exercise for using value and line, and for exploring pattern and design possibilities.